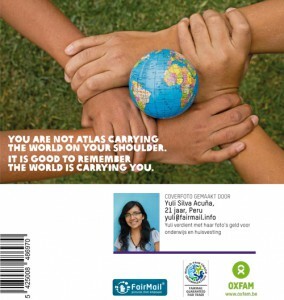 We are very proud to announce our new cooperation with Oxfam Belgium. All the images for their 24 new fair trade photo greeting cards have been taken by the Peruvian and Indian FairMail teenagers. Besides the images, FairMail also provided the FairMail concept for Oxfam’s new cards. Just like with a normal FairMail card you can also find the picture, name and email of the teenage photographer on the back of the Oxfam cards. The cooperation was born during the Belgian visit of FairMail Peru photographers Anidela and Angeles in June 2015. 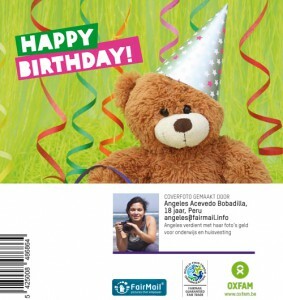 During one of their presentations for the buyers of the Belgian fair trade shops they inspired Oxfam to switch to the use of fair trade images for their cards. Allowing them to further align their products to Oxfam’s international mission to fight global poverty. While at the same time helping FairMail to combat child labour through the art of photography. We hope this cooperation will inspire other NGO’s (Non-Governmental Organisation) to follow Oxfam’s example. 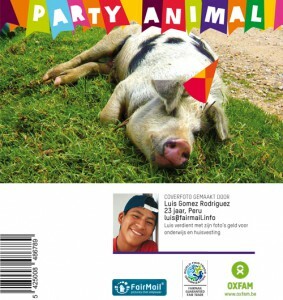 The cards are available for the Belgian fair trade shops in Oxfam’s retail webshop. 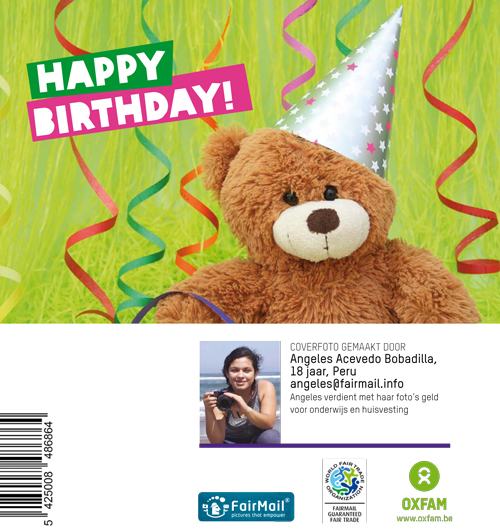 For more information on purchasing the cards you can also contact Oxfam by phone+32 (0)2 412 12 52 or e-mail: info@solidariteitsfonds.be.